Hi all! 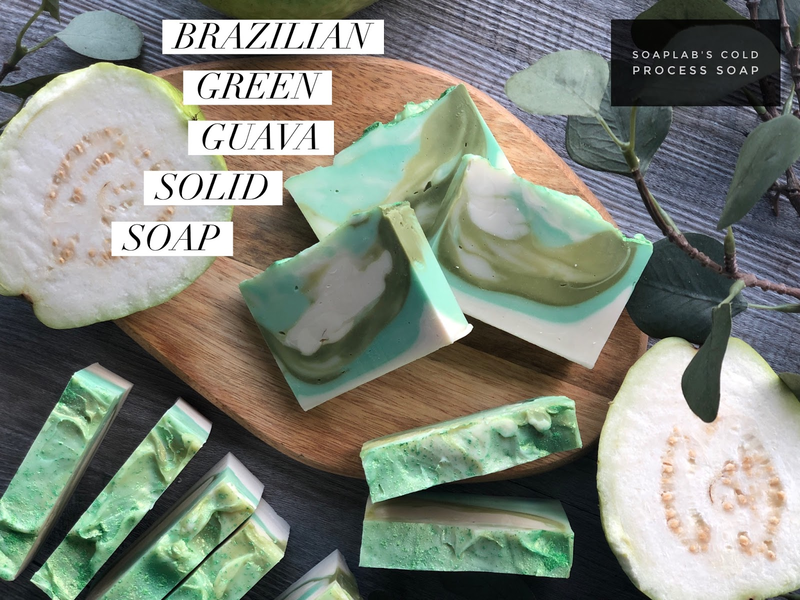 Today we will be giving the amazing recipe for the Brazilian Green Guava Inspired Soap. We will be using the cold process soap making method to make the soaps from this week’s How To Make Recipes. These soaps are made more traditionally and are 100% Natural. But soaps from the olden days were boring; so in this week’s recipe; we will show you how to make these traditional soaps with a twist! We want to make them look like a fruit! First you need to combine an oil mix with lye. The oil mix consists of castor oil, olive oil, coconut oil and palm oil. Each of these oils provide the skin with an array of benefits from moisturizing to being anti-inflammatory. For example, castor oil revitalizes your skin as it is a great moisturizer. Next add a fresh basil essential oil, which makes your skin glow as well as fights infections on your skin. Green tea fragrance oil is also added to promote fresh scent.